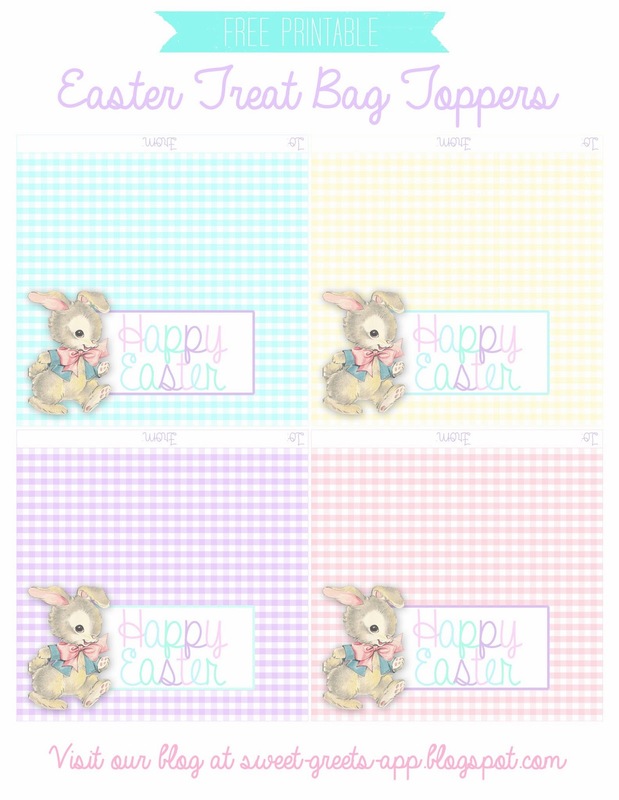 Here's one last set of 4x4 inch printable treat bag toppers for Easter. These come in pink, aqua, yellow and lavender gingham, and feature an adorable vintage bunny graphic from Nanalulu's Musings. Isn't he precious? Just click the image above to download. Print, cut, then attach to a 4 inch treat bag. Happy Easter!